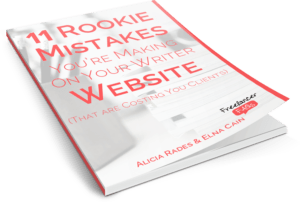 As a new freelance writer, you’ve done tons of research, read widely and taken a number of free courses online. You’ve also stalked some experienced freelance writers and lurked on various powerful blogs and websites. But even after all these …… you are yet to attract your first client. What have I missed? What do I really need to do? Here are some of the ways you can attract your first client quickly. One good thing about being a freelancer is your ability to choose the hours you work. But this can be a major problem if you work only when you are in the mood e.g. 2 hours in a week, 4 hours in a month, etc. Anytime you are not in the mood, you walk away for days or even weeks at a time. No wonder your first client is nowhere to be found yet. To attract your first client quickly, treat your freelance writing as a business. Just decide on the hours per day and days in a week that you’ll dedicate to it. Then keep to that schedule. As we all show up at our 9 – 5 jobs daily whether we are in the mood or not, same way, you should keep to the hours and days you set for yourself. And you will attract your first client quickly. Well, since you are just starting out, obviously you have no published samples of your work yet. Potential clients usually ask to see published samples of your work to determine if your writing is good enough for them. A good place to publish samples of your work is on your blog. You can write a post and publish on LinkedIn Pulse. You can write a post and publish on Medium. These are posts that you write but submit for publication on sites other than yours. While some are paid, most guest posting opportunities are not paid. Look for blogs and websites that accept guest posts and start submitting to them. Once your post is published, you get a published sample showing that someone believed in your writing enough to publish it on their site. This gives you added credibility with potential clients. Your writing will be viewed by hundreds and even thousands of viewers depending on how popular the site is. Most likely, some potential clients might be among the viewers that will see your writing. You will have an author bio attached to your post which will help to advertise your name as a published writer to the site viewers that may include potential clients. Sometimes businesses, companies, entrepreneurs, bloggers have a need that is not being met. Or, a problem that they are searching for a solution to. As a freelance writer, you can help them solve their problem or meet their needs. Cold pitching simply means that you get in touch by pitching your services to them. In your pitch, introduce yourself and tell them how you can help them improve or grow their business or meet their specific needs. Job board ads are placed by individuals or businesses in need of freelance writers. Most jobs posted are good quality jobs. While some job boards are free, some are paid but as a beginner, you should start from the free ones. You’ll need to check these sites regularly. But for some, you can set up alerts which mean you’ll get notifications in your email once new jobs are posted. Truly, you’ve sent out a few pitches but these were done at random. With no plan or strategy behind it. To attract your first client quickly, pitch aggressively. By increasing the number of pitches that you send out. Give yourself pitching goals that challenge you e.g. 4 pitches daily, 20 pitches weekly, etc. Remember, this applies not only to cold pitching and guest posting but even the applications / pitches you send to job board ads. Even though your pitches may not be perfect yet, still send them out. The more pitches you send out, the more practice you get. The more practice you get, the better the quality of your pitches. And the closer you get to your first client. While a few of those pitches you sent out attracted rejections, the remaining ones did not even get any response. You wasted a long time sulking and feeling sorry for yourself. That is a total waste of time. Every successful freelance writer have experienced rejection at one time or the other but this did not stop them. The earlier you develop a thick skin towards it the better you’ll be. Know the right attitude towards rejections? And before you know it, your first client is here. So that’s it – over to you! 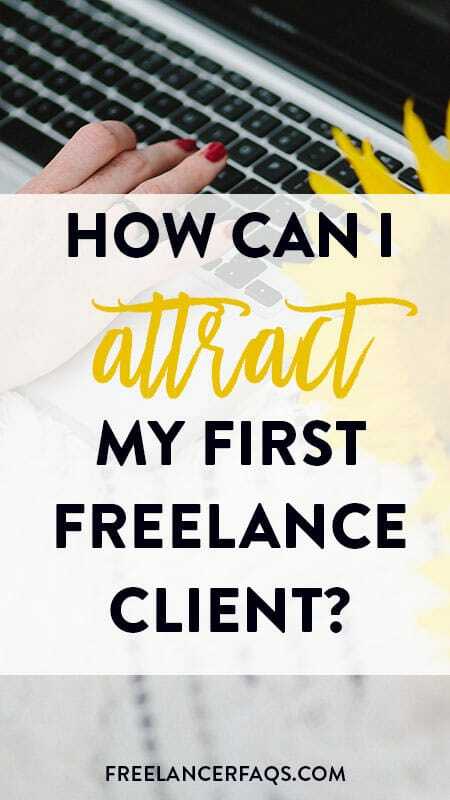 How quickly did you attract your first client? Please tell us what worked for you. How Do I Use Guest Blogging to Land More Clients? This is sound advice for new freelance writers. Pitching and hustling is what new freelance writers should do every day! That’s what i’ve realised too. Great advice! I’m currently struggling to land my first client. I’m doing a lot of these things but need to work on pitching more. I could use the practice I’m sure. Just do it. Don’t forget that you can set daily or weekly pitching goals to help you track your progress. Wishing you all the best. Thanks for commenting. Please add guest posting to all that you’re doing. And the earlier, the better so you can start reaping the benefits. I am a newbie in the business of freelance writing with no blog yet. As I read this, I have firmed up my heart that if I stick to pieces of advice you offered, very soon I will get my heart desires. I really appreciate you. It’s good that you’ve made up your mind to take action. Everyone started somewhere so the important thing is to start.